I love making homemade healthier versions of processed foods. Some of our favorites are vegetable broth powder, homemade ketchup, homemade gummy snacks, taco seasoning, natural blue food coloring, homemade chocolate chips and homemade white chocolate chips. 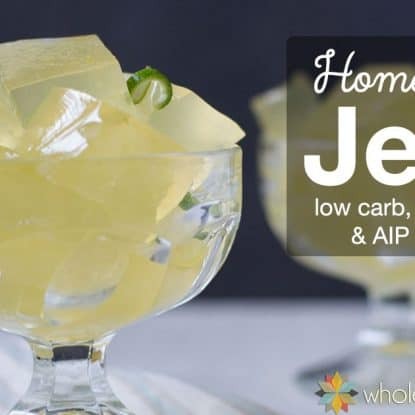 So when I found a way to make homemade “JELLO” – I was thrilled! “Jello” is one of those things that has always perplexed me. Why would someone pay over $5 per pound for a little box made up of mostly sugar, a teensy bit of gelatin, artificial color and flavor? ‘Cause you know- I'm the type of mom who never buys much of anything packaged and processed. So none of those itsy bitsy containers of sugar and artificial dye-laden boxes that cost about $1.10 or so for 1 batch of not-so-good-for-you stuff. Well, a number of years ago, I bought brand name and generic brand gelatin for some reason or another. I'm sure it was probably an ingredient in a recipe that I wanted to try. So I bought it and had the rest of the packets sitting in my pantry for a long time. Don't ask how long. Good thing gelatin doesn't spoil :-). Anyway, at some point, in my “making my own version of processed foods” trials and errors, I ended up making “Knox Blocks” (or generic “gelatin blocks”) for my kids whenever they've been sick and nothing else will calm their tummies, or as a treat when they've wanted something a little special. This recipe turned out so beautifully that I just needed to get it out on my blog. Of course, you save money over the store bought brand. The gelatin is soothing to the stomach — and it's a great healthy option for times when you are recovering from a tummy bug. It's a fabulous source of additional or complimentary protein. 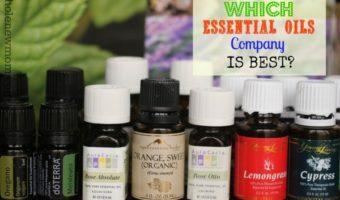 Most obviously, you have total control over the ingredients and you can leave out those not so savory things like artificial colors and flavors – yikes! I am no longer using regular store brand gelatin. It's REALLY important to use quality gelatin with all of the factory farming that is going on. Great Lakes Gelatin – this is the first grass-fed gelatin that I ever used. Nice people. Good customer service. Pasture and grass-fed sources from Argentina and Brazil. Vital Proteins – these seem to be good people too. Pastured, grass-fed bovine from Brazil. Perfect Supplements – also pastured, grass-fed bovine from Brazil. Please don't use those icky “Not ReaLemon” bottles that are sold everywhere. They are filled w/ nasty preservatives and don't taste like the real thing. Because they aren't. Have you ever drunk that stuff straight? :-(. The Dream Foods brand costs more, but it is worth it–sooo tasty!! I buy mine in a super big combo pack at Costco. If you don't that much, you can find it here on Amazon. If you do go and buy the pack at Costco, you can use your extra juice for my Homemade Lemonade with Sugar-Free Option. Stevia extract is a little hard to measure. These stainless steel mini measuring spoons from Amazon are super handy. The 2nd smallest is the size of 1/32 of a teaspoon so you can easily measure stevia extract with these! Stevia: 1/32 tsp is about as sweet as 1-2 Tbsp sugar. 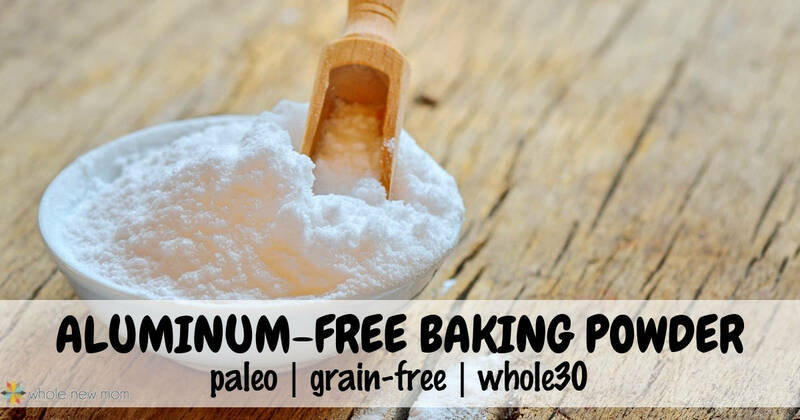 So you can substitute another sweetener for the stevia, but you will need to use a lot. See this post for more measuring info. Sweeteners: I used xylitol as a sweetener so that the jello would be candida friendly. Any granulated or liquid sweetener will work, but you may need to use a different amount if using a liquid, so read this post on how to substitute sweeteners. 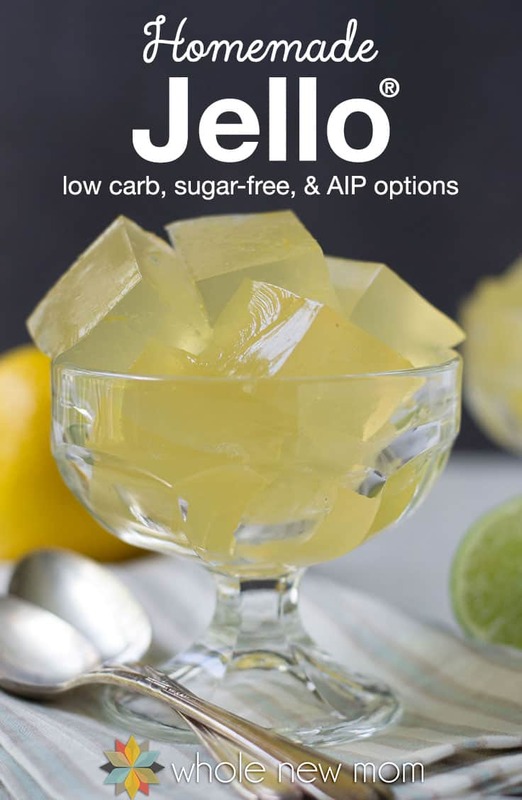 Juice: You could also use lime juice instead of lemon juice, or you could even use both for a lemon-lime jello. 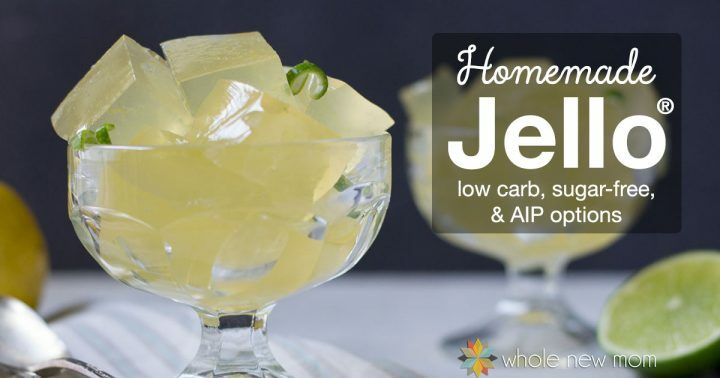 Rind: Use lemon rind for lemon gelatin — lime for lime. 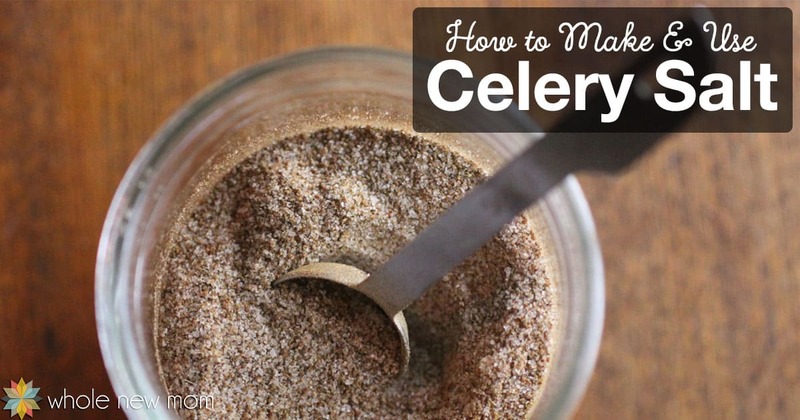 Vegan Option: Substitute agar powder for gelatin for a vegan option. Molds: Instead of the baking pans, you could of course use anything as a mold. Like the little heart molds I bought for my Healthy “Reese's” Candy (with allergy options). 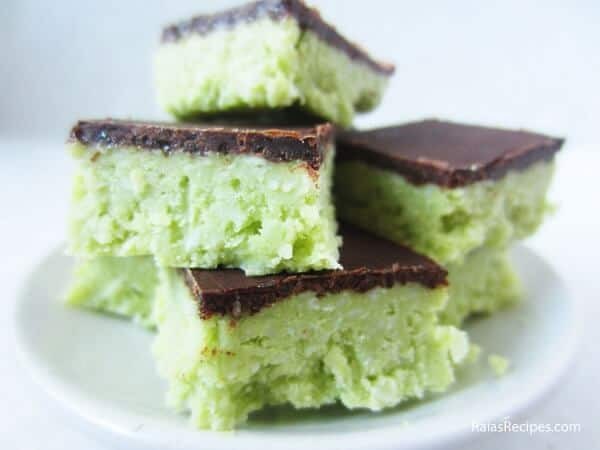 Gelatin: For Gelatin Squares, use twice as much gelatin. THM: This is a “fuel pull” for those on the Trim Healthy Mama plan. Want some other fun DIY Replacements besides Homemade Jello? What flavor of Homemade Jello will you make first?